Hi, this is Bansi from Tatanagar Churu and I would like to share my personal opinion about the Maruti Swift VDI which is my car right now. I bought new Maruti Swift VDI one month back and I am fully satisfied about the mileage and impressive features but performance is not according to my demand. After comparing other same segment cars the VDI looks above average. Its interior is cool along but leg room is very small and boot space of the car is also little. With it due to bad rear view mirror poor visibility might become danger during dark. Coming to cooling it has powerful air conditioner. Coming power and performance of the vehicle, it 1.3L DDiS diesel engine struggles during a little speed down, gear shifting is smooth and pick-up is not good. About mileage I would like say that it is sufficient. Ride quality and handling of the vehicle is also average (not excellent) because its poor braking quality is not good for family only hand brake is powerful while suspensions are also rigid. Overall, the VDi version of the Swift is features rich but performance and power are not good. My Maruti Swift Alpha has a strong and powerful engine and the fuel efficiency is more than satisfactory. Acceleration and pick-up are excellent. 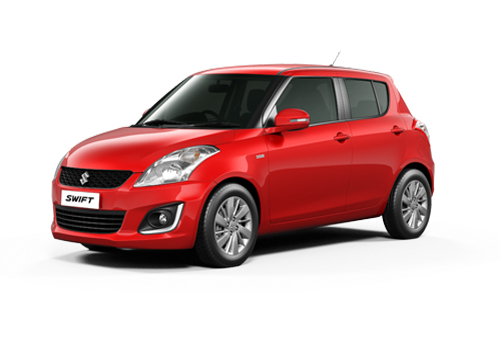 Maruti Swift looks are so great and amazing features. It's very effective car.